From the website “Created by Diane.” Diane’s salted caramel frosting. Link to her site below. Unless you don’t leave your home much, you’ve heard about the magic of salted caramel. It’s received much exposure and publicity as the salted caramel craze has been everywhere-on t.v, drizzled on cupcake icing, nestled in brownies, combined in ice creams, and coffees. According to the New York Times, this trendy flavor has seen its fair share of followers since 1990. French baker Pierre Herme created the salted caramel macaroon, being the first to fuse the ingredients together. (Here is the recipe!) He experimented with flavors by adding a salty undercurrent to the sweet caramel flavor that allowed consumers to embark on a unique flavor combination. 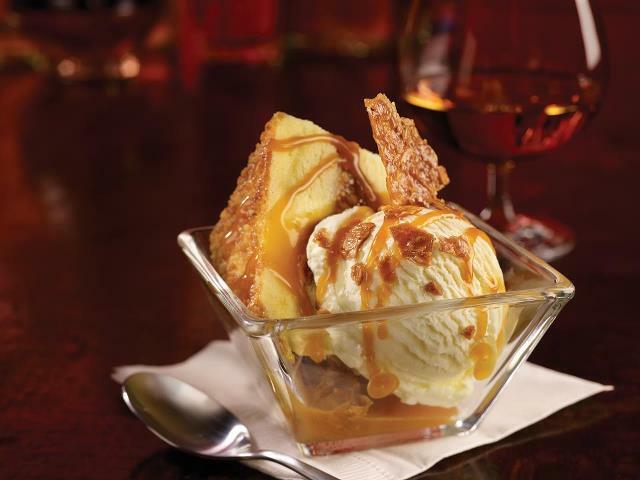 These two flavors complimented each other whimsically, as the caramel’s decadence became enhanced by a subtle, yet sizable salted influence. Since then, salted caramel is a trend that’s gaining staying power, as it’s not at all difficult to find it anywhere. I have also explored this flavor, initially wary of the salty nuances but I have come to appreciate it. Private Selection Sea Salt Caramel Truffle Ice Cream. 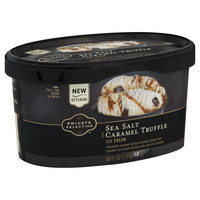 My first experience was trying a “Sea Salt Caramel Truffle” ice cream introduced by Kroger in their Private Selection brand. The caramel ice cream has caramel ribbons, and salted caramel filled chocolates. I found this ice cream richly decadent and the caramel sweetness toned down by a subtle sea salt that was divine. This ice cream will be available in limited stores as Kroger supermarkets are not a national chain. It was so good, I still had to blog about it! 🙂 I’d give this 4 tongues. This ice cream was not overly sweet, and I craved it on a regular basis. Starbucks has also capitalized on the salted caramel trend. Their release of a salted caramel mocha was popular. The caramel was the stronger flavor I tasted, along with a rich chocolate undertone, but I didn’t taste the saltness until near after I finished each sip. I couldn’t taste any traces of sea salt, until I sipped a few times and found it somewhere in there. The caramel didn’t have the traditional “less sweetened” element it usually does when mixed with sea salt. On the yumfactor scale-a strong 3 tongues and a tastebud. The salted caramel could only be detected in the drizzle on top of the whipped cream, and according to the site, the mocha base is mixed with a toffee nut syrup. The salted caramel is drizzled on the top. If that is the case, why market it as a salted caramel mocha if there isn’t a lot to begin with? This is a rhetorical question. My other experience was eating a salted caramel salt water taffy.The fun, chewyness of the taffy naturally complimented the caramel, and the salted flavor kicked in at the end of the chew.Not overbearing, and an even balance of flavors. This is your typical salted caramel experience, and worth a try. For $.25 I indulged in a salted caramel taffy, a mango jalapeno taffy, a cupcake flavored taffy, and a maple bacon taffy- the latter was surprisingly tasty! I recently bought salted caramel flavored coffee by A.M- “Coffee for tired people.” This has by far been my favorite flavor to get creative with, and I usually combine a coconut and chocolate flavoring to it, or a Madagascar vanilla to the salted caramel. 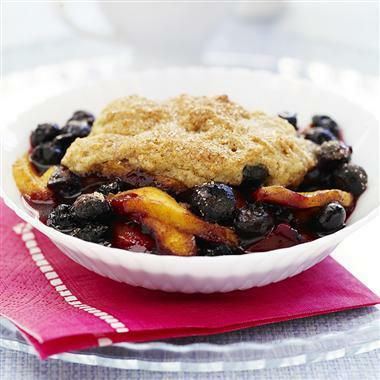 Both have been exceedingly good as the salt tones down the possible sweetness such flavors can have in this mixture. This has been my ultimate favorite aspect about the salt. It gives a light depth to a caramel flavoring, making baking and creativity less predictable. This coffee flavor needs to be in everyone’s pantry. Granted, it will be slightly plain if you do not add anything else to it, but if you like caramel on its own-let alone salted caramel, you’ll enjoy this. On the yumfacor scale, it gets 4 tongues. (4/5 stars) because of its versatility and taste. Now, for the grand finale. T.G.I. Friday’s Salted Caramel Cake. Here is the link for Created By Diane, who gives a recipe for the fabulous vanilla bean and sated caramel frosting cupcake. What are your thoughts on Salted Caramel? Overrated? Unappreciated? Don’t forget to Rate, Comment and Subscribe for fresh foodie blogs! « Must Try Foods: Super Target’s Limited Time S’mores Cupcake. Hi Beth. Sure thing! If I ever find it, I’ll be sure to include it on here. You’ll just have to keep checking just in case I do find it. 🙂 Have a good day. Could not agree with you more about the salted caramel cake at TGI Fridays! I am trying to contact corporate to have one made for our wedding in November! Good luck with that! Congrats on your upcoming wedding! Where do you find your AM Coffee for Tired People. So far, I’ve only found it at TJ Maxx and haven’t had any luck with a website. Hello! I found it at Marshall’s, but not on any site. Seriously, I’m with you! I loveeeee salted caramel flavor. It rocks my world. 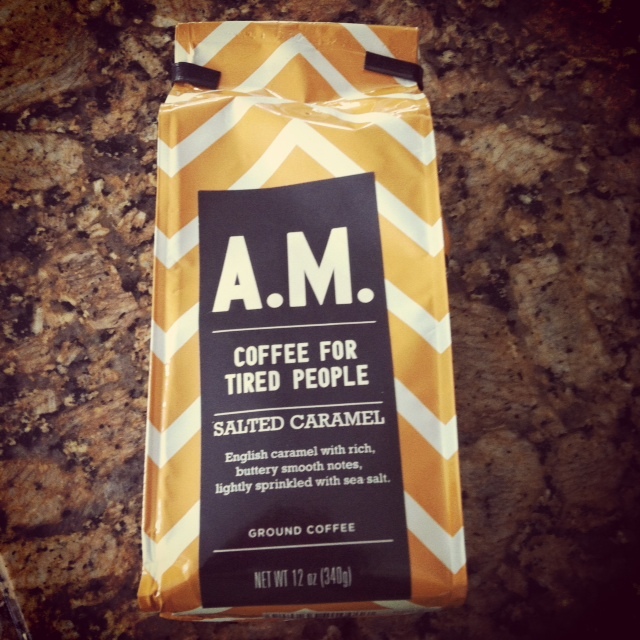 A friend of ours bought us the AM Coffee for tired people, but we ran out. 😦 Do you know where I can purchase more?? Hi. Try Home Goods or Marshall’s. That’s where I got mine. paramount coffee is where you can order AM COFFEE FOR TIRED PEOPLE from! Thanks Kathy! There were so many questions on this.